September is always an exciting time for us and this year was no different. The last few days have been filled with so many moments of joy and curiosity as we opened the new school year at Bay Ridge Prep. For 92 of our students, this is their first year as Tigers and what a warm welcome they received from their new friends and teachers! For all of us, September means a fresh start. It’s a chance to try new classes, new lessons, meet new people, discover new passions and continue growing and evolving as individuals and as a community. The thrill of it all was captured in the many First Day of School photos you shared with us that we posted in a video on social media. Thank you to our students for filling our classrooms and hallways once again with energy and smiles. Thank you to our dedicated faculty and staff for creating a wonderful experience at the start of year and all year long. Finally, thanks to each parent and family who has entrusted us with the care of their children. 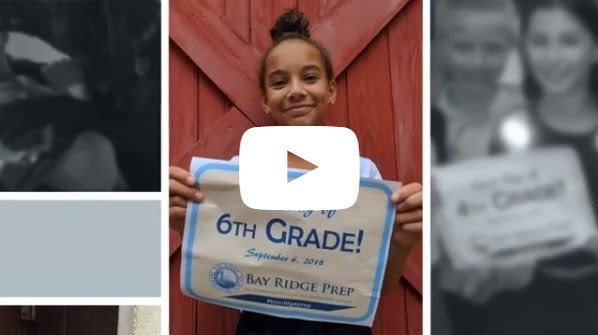 Your support, partnership and collaboration allows Bay Ridge Prep to live up to its mission of truly being a student-centered community. Enjoy this long weekend. We look forward very much to seeing you again next week.